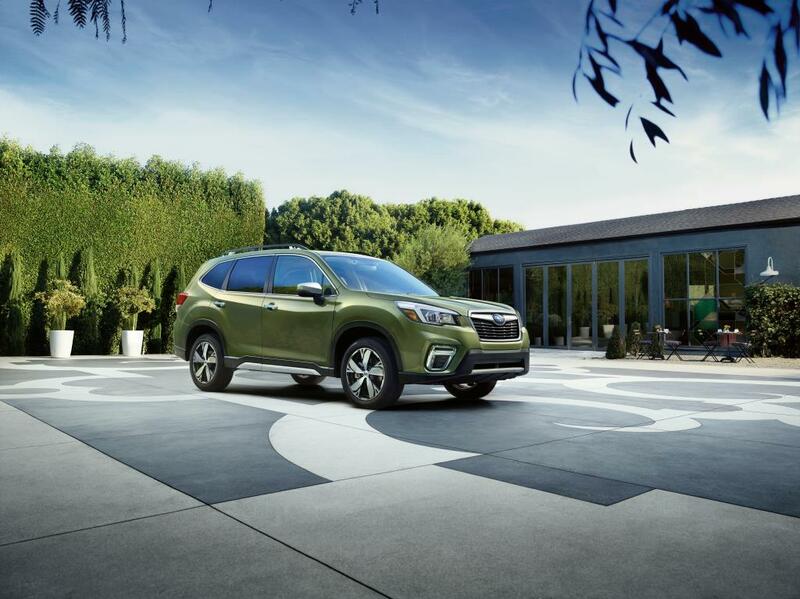 The 2019 Subaru Outback and the 2019 Subaru Forester are both stand-out models in the Subaru lineup. Each with unique features and design, the two are often compared by Subaru fans, and it is a difficult choice when deciding which vehicle is right for you. The 2019 Subaru Forester is all new and features much more updated and refined changes compared to the Outback. While the 2019 Subaru Outback doesn’t see any new major updates over the 2018 Outback, the model remains a common favourite among Subie fans. Both vehicles come standard with a 2.5 litre normally aspirated boxer engine. Having a normally aspirated engine means that there is no turbocharge on either one. The Subaru BOXER Engine design means that the cylinders lay flat on their sides. This engine style also has fewer parts and is much lighter, meaning it sees less wear with use. The BOXER engine technology is a tried and true aspect of many Subaru models throughout the decades. The Outback boasts 175 horsepower from the 2.5-litre engine. The vehicle returns 25 city and 32 highway miles per gallon. The vehicle is about 8 inches longer overall. The wheelbase (distance between the axel) is about 4 inches longer than in the Forester, which results in a smoother ride. The Forester has more horsepower at 182 horsepower total. The engine size also has the ability to get additional miles per gallon in city and highway mileage. It is comfortably equipped, and the Forester is larger and more luxurious with enhancements that cannot be found in the Outback. This model sits 2 inches taller than the Outback, giving it a more traditional SUV shape. As the Forester is the more contemporary of the two models, Subaru includes a brand new, innovative feature called Driver Focus, available only on the Forester. The Driver Focus is an anti-distraction, facial recognition technology. When it comes to choosing which Subaru is right for you, think about what you need out of a vehicle. Visit our Sales team at Subaru of Niagara, where we are happy to show you all of the features between both the Subaru Outback and the Subaru Forester and help you choose which is right for you and your needs.